The Lesotho government has issued a press release saying that the country's King Letsie III accepted the resignation of Prime Minister Pakalitha Mosisili following the June 3 election. Mosisili has been asked to "hold fort" until the induction of the new prime minister Thomas Thabane. Thabane won the election at the weekend but failed to gain an outright majority in parliament, previous reports have said. He will now form a coalition government. 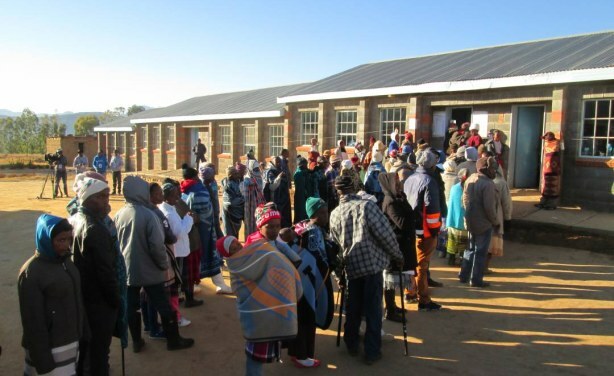 Voters braced the chilly morning weather to vote at Malumeng Primary School, in Thabana-Morena constituency.